Last October, I got another life changing opportunity presented to me in an email that was forwarded to the entire biology department. A group of students on my campus formed a new club called “Medlife,” and they were looking for new members to join them on a trip to Peru. By this point, no one has to ask me twice; you invite me on a trip to another country and I am there. This trip though, was very different than any other trip I have ever been on, because the focus was on helping people. Medlife is an organization that is committed to helping communities in need in third world counties. They focus on addressing three main problems that these communities face; access to health care, access to education, and lack of a strong infrastructure. They have developed mobile clinics to help with access to health care, they build schools and donate supplies to help with access to education, and they build things like staircases to help with infrastructure short-comings. This organization focuses on working with the communities in order to provide long term help in all of these areas. They are pretty amazing. After traveling in Ghana, I decided that when traveling in a group, having one completely miserable person in your group is a good thing. This is because they have no problem complaining about all the things that everyone else in your group does not want to complain about. It gets it all out into the open, and you no longer feel like you are they only one suffering. In fact, that one person is often so miserable, that it makes you yourself feel much better. In fact, you may even find the ability to laugh about everything going on, and the group lightens up. That one miserable person may actually be the most important member of your group. However, when every single person in your group is miserable except yourself, there may be a bit of a problem. 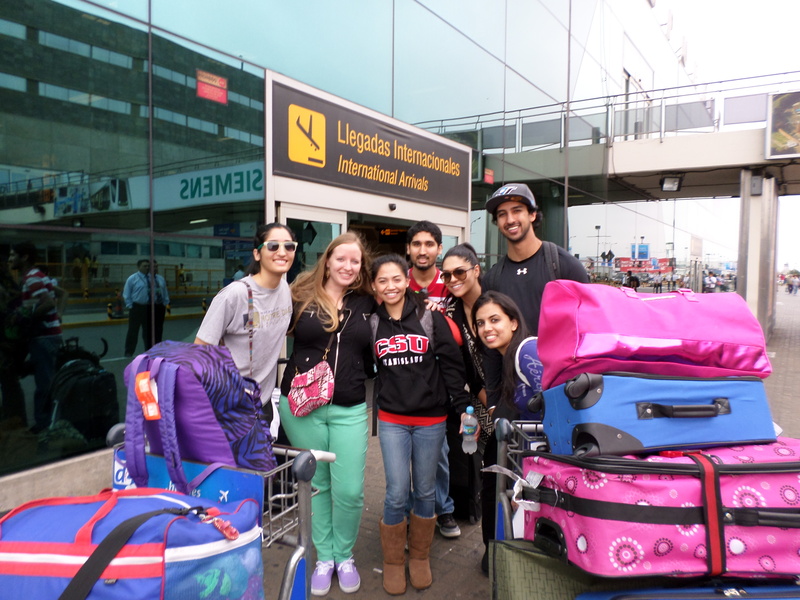 Upon arriving in Peru, I think the group I went with had some misconceptions about the experience we would be having. When we were in the middle of our plane travel, a girl in my group said that she was really looking forward to checking into our hotel and hanging out in the pool. Awkward. I turned to her and explained that we were not staying in a hotel, we were staying in a hostel. She asked me what the difference was. Well, I told her, in a hostel, you are lucky to have clean sheets on the bed and curtains on the window. She looked at me like I was crazy, then turned and went back to imagined the pool she thought she would be sitting by in a couple hours. Poor thing, she had no idea what was coming. 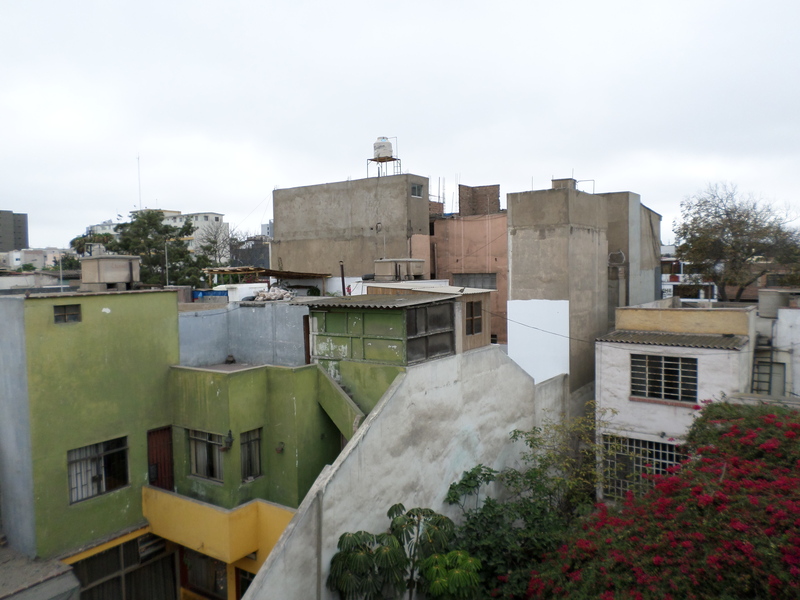 After a drive through Lima, we arrived at a hostel in the middle of a very rich part of Lima, Peru called Mira Flores. If I did not know that I was in Peru, and if we had not just driven through a poorer part of Lima, I would have never known I was in a third world country. This place was gorgeous, pink flowers on every corner, mosaics that covered the sides of sky scrapers, and parks that were pristine. The contrast of this rich neighborhood with the neighborhoods we had passed through and the slums we were going to visit was deeply unsettling for me. The separation of the rich and the poor was so blatant but no one seemed to notice, or worse, care. Upon entering the hostel, memories of Ghana started to come back to me. This place was a very nice hostel, but a hostel none-the-less. 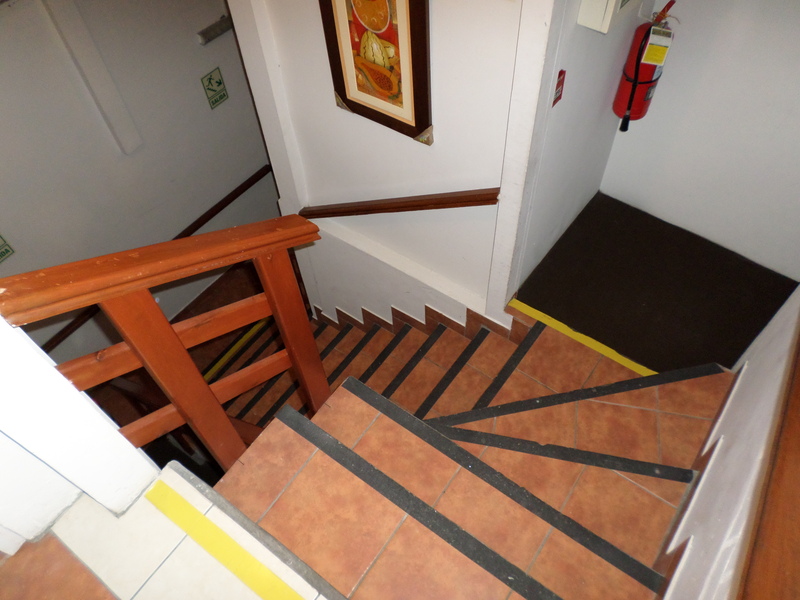 The lady at the front took us up four very narrow flights of stairs to a couple rooms on the roof. It was extremely small, and there was one bathroom for 6 girls. There were clean sheets on the bed, and they provided us with lots of towels. Nice place. Better than most places in Ghana, and aside from the rooms being a little bit warm and humid, there was nothing that I could see, worth complaining about. Well, I apparently I was wrong…there was in fact, many things that could be complained about. I fell asleep on my bunk bed listening to the moaning and groaning going on around me. They said that the lady at the front desk clearly hated them because she gave us bleach stained towels (I tried to tell them that bleach stains are a good thing, it means they’ve been washed at least once). They said that the roof simply was not safe; people could break into the rooms and hurt us. And, don’t get me started on the fact that there was only a very weak wifi signal available. Ultimately they had decided that “10 days was a long time to be uncomfortable” and something must be done. Although I heard much of the discussion, I slept very happily for 2 hours. When I woke up, everyone had decided that we would be moving to a real hotel, and we would be asking for the money, that came from our program fees, for the hostel back. When they told me of this plan, I was the only one that seemed to think it was ridiculous. Awkward. They said it would only cost $200 each. Awkward, and Wow! To me, that is a lot of money. I almost feel bad for being frustrated, but I couldn’t believe I was with a group of such close-minded people. We are 20 year olds! We aren’t supposed to get stuck up about sleeping arrangements for at least another 10 years! I explained that, if you feel like you are going to be uncomfortable for 10 days, then remember, it is only 10 days. That’s it. I for one would not be moving. So instead, they sent me down stairs to ask the nice lady to change us to an inside room so that criminals do not break into our rooms at night to hurt us. Luckily, the let us move inside…but for some reason the bleach stained towels still seemed to be an issue, and they all went out and bought new ones. 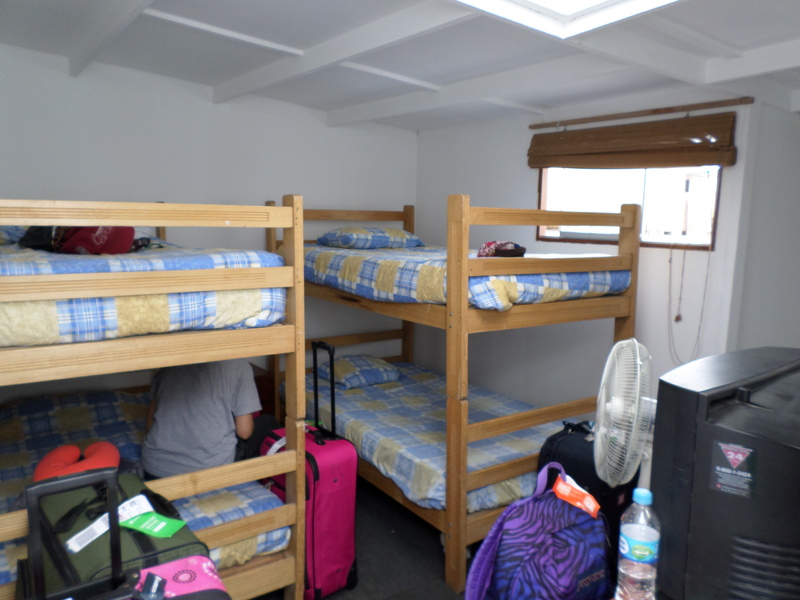 During the next 9 days, in that small hostel room, I learned a lot about girly girls. This may sound naïve, but when I watch movies that have women in them who take forever to get ready…I thought that was really only in movies….or for Weddings. Turns out, it’s not. Some people really do spend hours getting ready in the morning. Hours. I have never seen so many straighteners, hair driers, and make up choices. Did you know that they have things called foundation brushes? Yeah, the ones at Mac are supposed to be great and only like…..$34 dollars. And, there are other make-up brushes you can get too, for like….a mere $30-$50 each. I didn’t actually learn how many you need though…or what they are actually used for…. I think for this group, 10 days may have been a bit too long to start off in a third world country. However, I had an absolutely fabulous time, and I wish I had the money to go back. In addition to all the things I learned about being a girl, I also had 10 days full of some pretty extraordinary experiences. We spent time in Slum communities that were in great need of help. We learned a little bit of history about the people that lived there, and a lot about the hardships they faced. We got to see smiles on the faces of the locals when two new stair cases were built for their community, and a traditional dance they had prepared for us to see. I got to hold the hands of people who were in great need of health care. I got to teach little kids how to brush their teeth, and then run around and play games with them. I got to use the knowledge I had acquired about microbiology in school, to explain to my program buddies what was going with patients in the doctor’s tent. I got to really help people. It was truly amazing, and those stories are yet to come. Before I get myself into too much trouble, I want to end this by saying that the people I travelled with were a good bunch. They did end up having a sense of humor about a lot of things, and they were very adventurous. They were also hard-working, and given the hardships, they were in relatively good moods while we traveled from place to place. They really were dedicated to helping others, and they were very kind to everyone. I think that they may have been blind-sided by a couple things, but overall, we all had a great trip. Stay tuned for more!